We are committed to your satisfaction with our product. From capturing best practices to incorporating emerging technology, we are working with you and your peers to develop the newest innovations for your continued success. More than M&A - Get started with processes outside of traditional M&A, including multsite management, legal operations, GDPR compliance, and more. Rigorous guidance - Leverage playbook tasks and guidance developed by seasoned veterans. 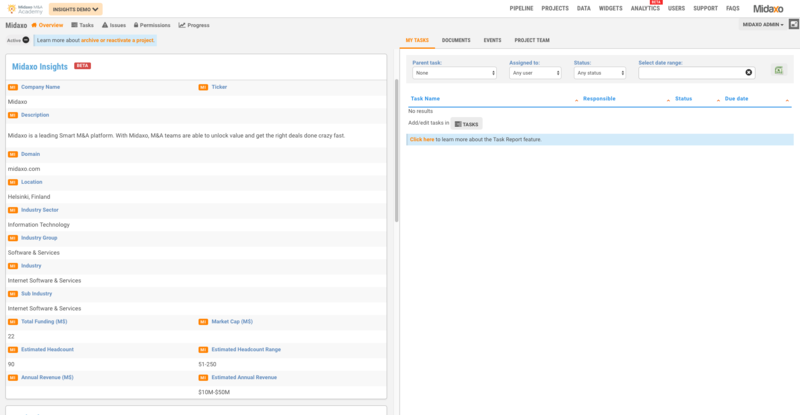 Designed with customization and flexibility in mind - Fit the playbook to your process, not the other way around. The powerful analytics technology available for project reporting has now been extended to task-level reporting. 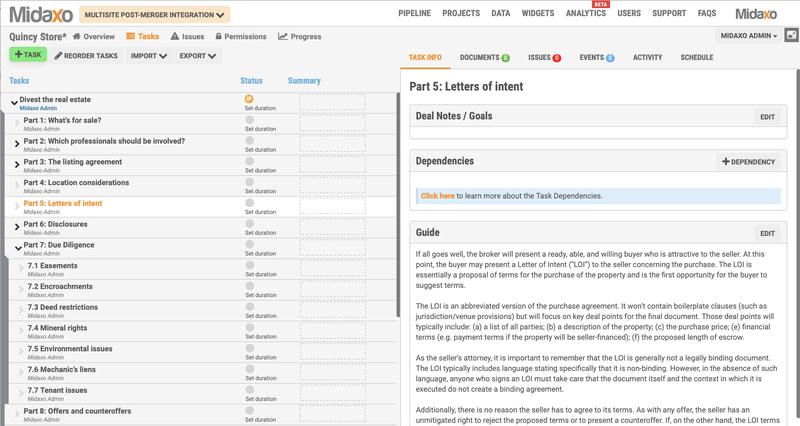 Visualize progress across multiple projects and per individuals or groups. 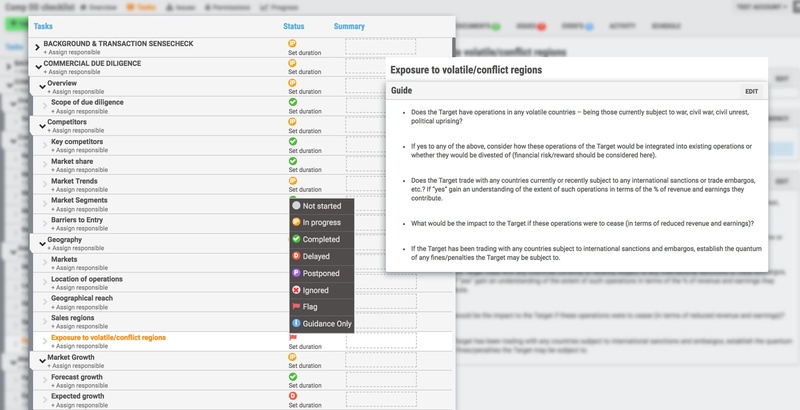 Eliminate tedious admin work with a centralized environment and built-for-purpose reporting. Ensure standardized, high quality reports by preconfiguring and reusing templates. 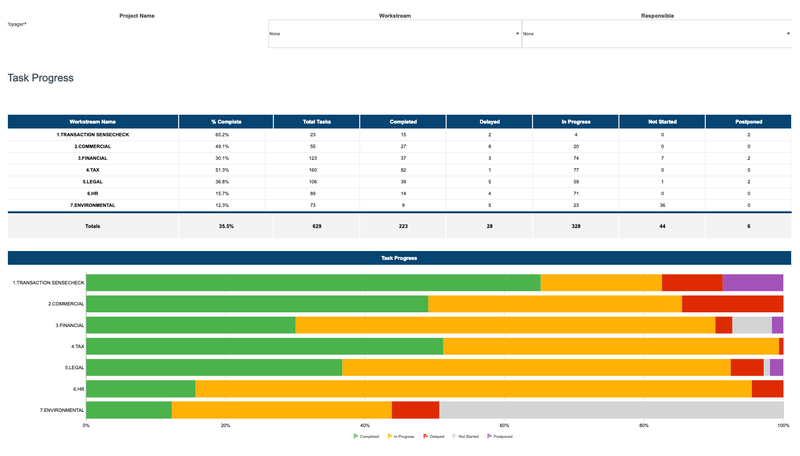 Midaxo Dashboards include preconfigured dashboards with drill down functionality and out-of-the-box, one-click multi-page reports. 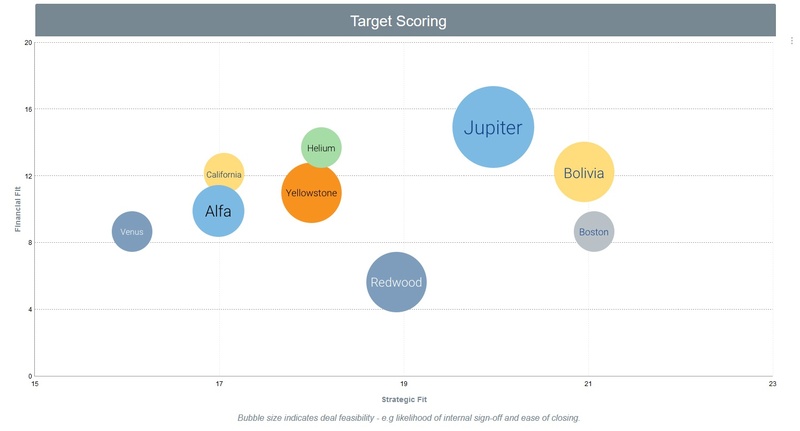 Created in Partnership with Top M&A IB and Management Consultants, the Midaxo M&A Playbooks are robust and tested. 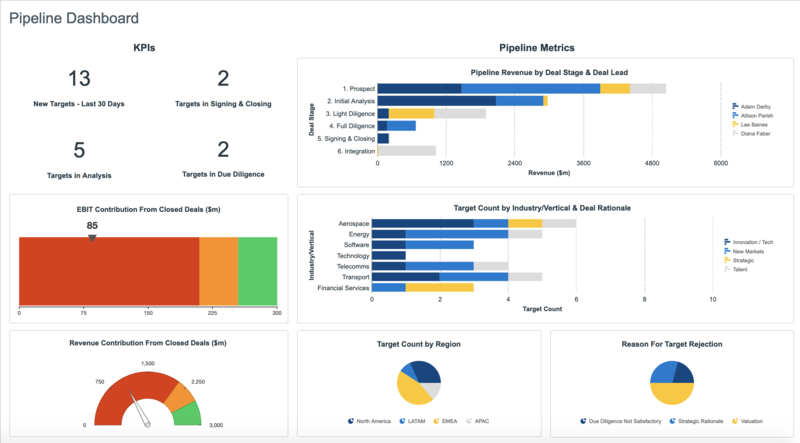 With powerful analytic capabilities for dashboards and reports, monitor all aspects of your M&A project execution and results.